Free Practice: In the first free practice it was raining very hard. Under those difficult conditions we saw Tunjo - P8, Schothorst - P12 and Malja - P 27. In the second free practice the track was dry and the Kaufmann Drivers concentrated on running on used tyres for a good race set-up. Therefore only P 19 - Tunjo, P 23 - Malja, P 25 - Schothorst. Qualifying 1: Due to the high number of cars in Formula Renault Eurocup the Qualifying is split into two groups. Gustav Malja was in Group A. 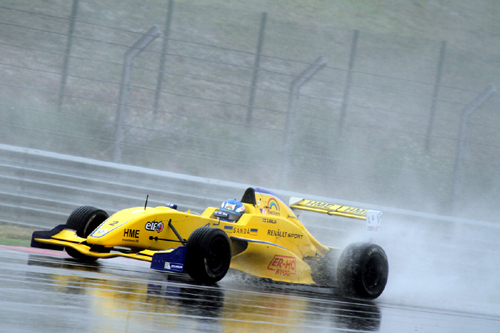 Under heavy rain, the unexperienced swede only qualified on P 13. In Group B Schothorst and Tunjo managed the situation better with P 4 and P 5 in the Group. Overall on the grid: Schothorst - P 8, Tunjo - P 10, Malja - P 25. Race 1: Under dry conditions Malja had contact in the opening lap and was forced to make a pit stop. Nearly one lap down he finished on P 33. 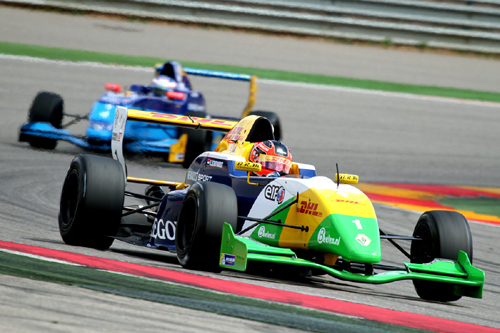 Schothorst and Tunjo had a very good opening lap of the race and after that overtook some more drivers. Both moved up two positions. In the end it was P 6 for Schothorst and P8 for Tunjo. Qualifying 2: Again heavy rain in the Qualifying: Group B was first out on track. Schothorst wasn´t able to find a clear lap and only was a very disappointing P 15 in his Group. Tunjo drove a strong qualy on P 3. 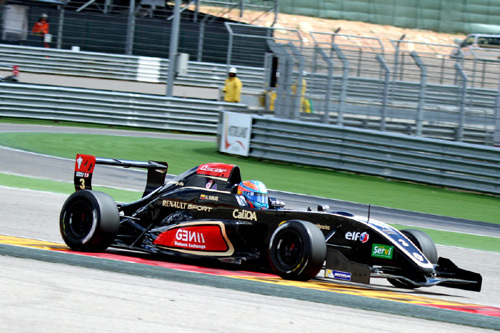 Gustav Malja in Group A again was only P 13. Overall on the grid: Tunjo - P 6, Malja - P 25, Schothorst P 30. 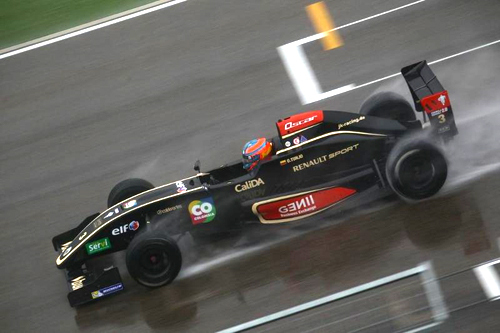 Race 2: Under massive heavy rain on Sunday afternoon, the race was started behind the Safety Car. Gustav Malja and Steijn Schothorst made the best out of their starting positions and both finished the race without any incidents. Malja drove on P 19 and Schothorst on P 22. In the front Tunjo was driving a strong race. He was very fast and moved up a few places to P 4 in the end.